These are free to use and share under the Creative Commons license (private, non-commercial use). 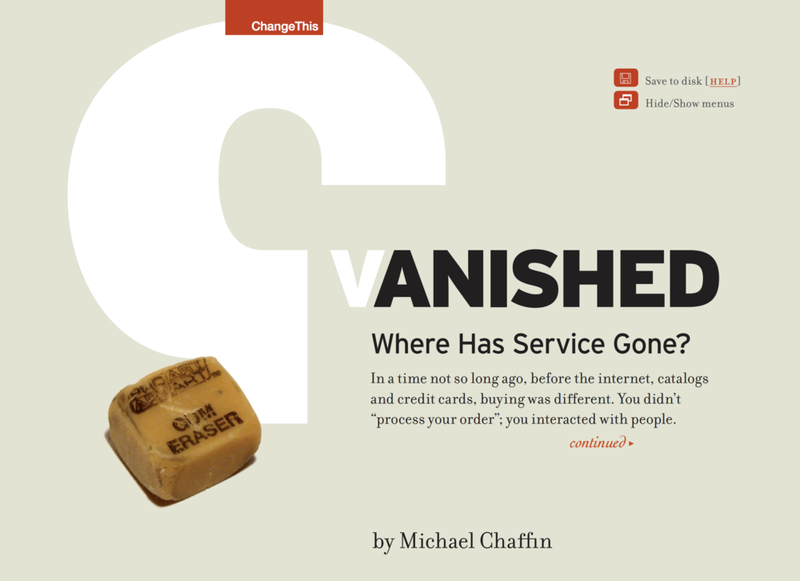 Vanished- where has Service Gone? Groceries ordered online and delivered to your home? Sure. Plan an entire trip to the other side of the world with just a few clicks of your mouse? Certainly. Assisted by digital and technological advancements, we can choose to live life on the fast track. But at what cost? Michael Chaffin observes that such transactions have lost all the remarkability that used to come with great customer service. The key to reigniting passion and excellence, he says, is to hire great people and get out of their way! A personal reflection workbook to help you be your best self and achieve your dreams. An alternative to the performance evaluation.